Our Eastlake lacrosse team enters the 2019 season as defending champions. We look to build on last years success by fielding two competitive teams (Varsity & JV). Our first game of the season is on the road, Saturday March 9th . Below you will find specific dates and information that pertain to our season. This year we are adding another piece to our mission of delivering the best possible lacrosse experience for all our players. We will be doing a training camp on Whidbey Island. This trip is mandatory for all players both Varsity & JV. The trip will take place Friday, March 1st to Sunday, March 3rd. We are doing this trip prior to the start of the season to increase the buy in to our team's identity and culture. By having both teams present it will present the opportunity for all our players to take part in our team building exercises off the field. We are excited for the future of our program as we try each year to improve on becoming the best program we can be. 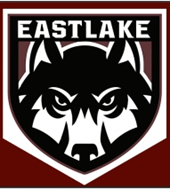 Check out this Lacrosse club team '2019 Men's Spring High School Lacrosse' with Eastlake Lacrosse!